It is an announcement seasoned commuters know means one thing: delays. And the autumnal train misery thanks to ‘leaves on the line’ shows no signs of abating after a report revealed incidents have increased by two thirds since 2010. Officials also found the failure of Network Rail to keep on top of foliage along the 20,000-mile network could ‘impact as much on safety and performance as on biodiversity’. The report, commissioned by the Department of Transport, said the control of trees and other foliage by the tracks had been ‘under-resourced for decades’. In 2009-2010, there were 11,500 occasions where tree and branches fell onto the lines. But by 2017-18 the figure had leapt to almost 19,000, The Times reported. Last year, more than 1,750 trains were cancelled by fallen trees. About 50 million leaves are said to fall on the tracks every autumn. Separate figures revealed that foliage on the line caused 3,261 hours of delays last year, a rise of 70 per cent in the last decade. 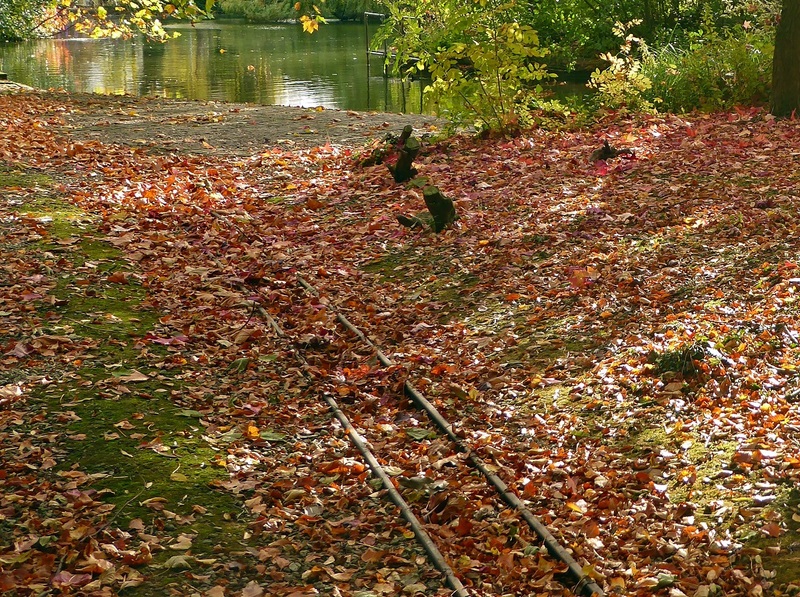 Several train operators have already blamed leaves for rail chaos. Last month, Northern said excess wet leaves had damaged the train wheels, resulting in several carriages being taken out of service. In order to counter the problem Rail Head Treatment Trains (RHTT) are employed over various sections of the network particularly susceptible to such problems. 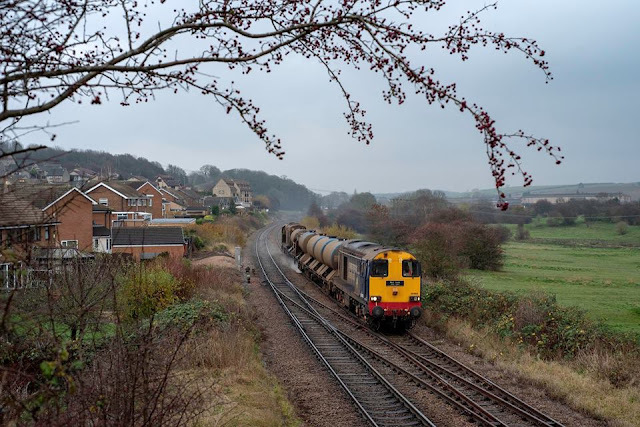 Class 20 engines 20303 and 20305 top and tail one such train as it passes through Kiveton during November on a run from Sheffield to Gainsborough and back (picture by Simon Kerry). Greater London and Kent operator Southeastern introduced a reduced autumn timetable to cope with the issue, leaving commuters with longer waits and crowded services. There are around six million trees on Network Rail-owned land within 10m either side of the track, but the report said they were considered an ‘afterthought’. Despite spending £40million a year over the past four years on vegetation control – an increase of £15million – Network Rail still has a large backlog of work, the report concluded. It also said the rail infrastructure company’s bosses could lose their bonuses for over-running engineering work. Senior staff could be forced to hand over a part of their performance-related pay, which came to more than £52million last year, to pay for rail improvements. Network Rail said it welcomed the report's conclusions.